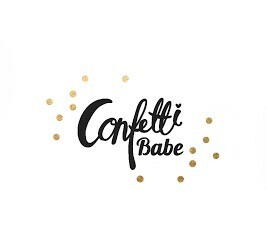 Confetti Babe: So, You're Pregnant AGAIN!? When we got pregnant with baby 2.0 we had some mixed emotions about having them so close together, and also got some mixed comments from people about wanting more kids even after this one! While it can be a little unsettling to change things up and add to your family, God knows what is right for you and your family, even if it's not right for another family. I remind myself that we pray God's Will over us for a reason, and are so thankful that He is allowing us to be parents again! To make light of it, I just came across this cute Taylor Swift - Blank Space parody pregnancy announcement video and it made me laugh! Also, hubby and I are having the hardest time naming this baby....why can't it be as simple as this, "let's pick a name!" Have a little watch! This is one of my favorite songs and all parodies of it never get old. What's your favorite pregnancy announcement? Favorite parody? How does your family and friends react to you adding to your family? I'll do anything for a quick laugh these days! Here's to sanity and making it to the weekend! Oh my gosh that was super cute!! When it comes to babies people don't seem to mind their own business haha. Congrats! !